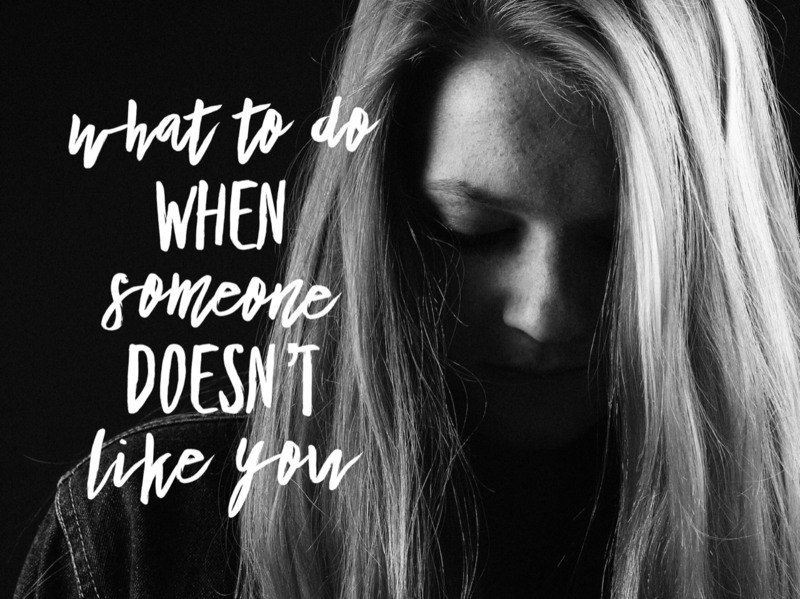 What To Do When Someone Doesn’t Like you – Try these six things for relief! It doesn’t feel good when someone doesn’t like you. It’s uncomfortable. You try and replay what might have happened for them to not like you. You run all kinds of different scenarios in your head and sometimes you can find a reason and sometimes you just can’t. So what can you do to find relief, comfort, and peace in those situations? What can you do when someone doesn’t like you? I thought this was appropriate today being Dr. Martin Luther King Jr. day. He is one of my heroes. I’m in awe of his grace and example of love and tolerance even amidst great opposition, there were a lot of people that didn’t like him, and out right hated him. Most of us will not experience that level of dislike or hate in our lifetimes and to that I’m grateful but it still doesn’t feel good so I’m going to offer you some things to do when you find yourself facing one of those challenges. We each see the world through our own filters and lenses or our experiences. I respond to the world through my thoughts and the things that I’ve gone through and learned from. Think about it, I know there have been times in your life you’ve shown up less than stellar because of what happened to you in your life then later you regret showing up the way you did because you KNOW it had nothing to do with that other person and EVERYTHING to do with you, right? Same thing here, how another person shows up is about them, it stems from their thinking, their past experiences, their preferences. It is NOT about you. We don’t know what’s going on in their lives. We don’t have to know, it’s none of our business. But what we do know is that what what they say, think, do, or feel is 100% them. Even when they say things about you- to you. It’s not you, it’s them. It still doesn’t feel good – but separating yourself from that and realizing that you are not fundamentally flawed can offer relief and compassion. Second, It’s important to remember also that what they do, say, feel, think – is a circumstance. It’s neutral and doesn’t hold weight UNTIL you put a thought to it, until you add your meaning and interpretation to it. Ask yourself what am I making this mean? * (Link HERE) If you’re making it mean that they hate you – then you’re going to feel bad. If you make it mean that they must have something really negative in their lives and it’s showing up in their behaviors then it again, separates YOU from their actions. That space can give you freedom and peace. We don’t know what’s going on with others. Stop making it mean bad things about you. It doesn’t feel good. It really isn’t about you. It’s in those times that we want so badly to understand and to FIX whatever it is that upset them or to try to figure out WHY they don’t like us. We go our of our way to explain, to talk, to ask, whatever it is so that we can find answers but when we do this we end up showing up completely inauthentic and weird. The answer is not in trying to figure out THEM but to figure out YOU. There is nothing wrong with you. There isn’t anything to “fix” or change unless YOU want to. You can’t control them or what they say. You can only control YOU. I know that’s not the answer you want to hear. We want to hear that THEY need to change. It’s THEIR fault. You can keep those thoughts but you’ll just feel aggravated and more upset because you can’t change them. We can only control ourselves. So ask yourself this: Who do I want to be in that situation? It’s easy to get frustrated and then our brains want to sell us on anger because we’re deep down confused or hurt. Sometimes we even try not liking them back. They don’t like me and so I’m not going to like them! But that doesn’t feel good either and it’s not going to create love or peace in your heart. Remember these wise words, “Never succumb to the temptation of bitterness.” – Martin Luther King, Jr.
Stop for a moment. Get out of their heads and trying to guess what they might be thinking and instead think about you. Third, think about this: Who do you want to be? What kind of person do you want to be always? Remember, this is the only thing you can control. You. If you say you want to be a KIND person then you need to think KIND thoughts. You need to generate KIND feelings. What would KIND look like right now? Can you show up kind even in the face of someone who doesn’t like you? Can you be kind to them NOT because they deserve it but simply because YOU are kind? This is not saying that by loving them they will automatically become your best friend and you’ll hang out everyday. This is saying that be getting a place of loving thoughts and feeling love towards them instead of feeling insecure, feeling uneasiness, and discomfort, But that you can think of them as a friend. What is a friend anyway? I love that Jody Moore teaches that a friend is anyone that you think and believe is your friend. When you can look at someone with love and think loving thoughts about them then you can also think of them as your friend and with friends we allow them space to figure out who they are too. Fourth, Remember that anyone is your friend if you believe they are. Friends love and help. They offer second chances. Friends think kindly towards others. They give them the benefit of the doubt. Fifth, If you can get to a space of LOVE then you can also get to a place of FORGIVENESS. When we forgive it’s not excusing the other person’s behaviors as okay. Sometimes it’s not okay. Sometimes it means loving them and still removing yourself from the situation. But it will FREE YOU from bitterness and anger so you can be who you want to be, so you can show up how you want to be. Give them space to be them. If they are misunderstanding you and not wanting to understand then let them. Can you let them be wrong about you so you can feel peace? If you know that you’ve done nothing wrong and you don’t feel like you need to correct something that you did then remember what they’re choosing to feel is about them. Now focus on what you want to feel. When you feel good, and kind, and loving you’re going to show up in the world good, and kind, and loving. You’re going to be able to think about them lovingly. You’re going to be generous in your thoughts about them. How you feel is about you and who you want to be as a person. There’s always going to be someone doing something we don’t agree with. We can feel disappointed – we should expect it to some degree. No one is perfect. We all act rashly at times. Know that others will do things we don’t like but also know that people change everyday. We can look at them with love and hope. We can act towards them in love and we can hope for better days with them. 1.) It’s not about you. It’s about them. Take the burden off you, it has nothing to do with you. 3.) Decide who YOU want to be. – Loving? Kind? Gentle? 4.) Anyone is your friend if you believe they are. 6.) Remember that people will disappoint you in life – We disappoint others too. We’re all human. But also remember to hang onto HOPE that better days will come and that the relationship you want with that person is attainable someday. Hope is a beautiful thing. It’s a driving force to continue trying, to continue loving, and showing up in the world as your authentic amazing self. So grateful for Dr. Martin Luther King Jr. who left us a remarkable legacy of peace, of hope, and most importantly of LOVE. The next time you think someone doesn’t like you, try out these six things. I promise you that you will feel better. You will find relief, and you will be able to access love – the greatest of all feelings. Also, DON’T forget to subscribe to be eligible for FREE COACHING!!! 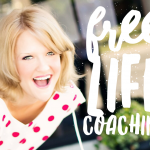 I’m offering my 6 week program for FREE – saving you hundreds of dollars!!! I’m only accepting 10 participants, 5 for session one in February and 5 for session two in Mid March. If you’re interested let me know ASAP – the spots are just about GONE already! So, Subscribe at the top of the home page and then shoot over a note telling me you’re interested so I can put your name into the pot.